Warrior Run – Fort Freeland Heritage Days will take place October 6-7, 2018, in Turbotville, PA, only 30 minutes away from the Inn, Farmhouse, and Brewing Co. at Turkey Hill in Bloomsburg. 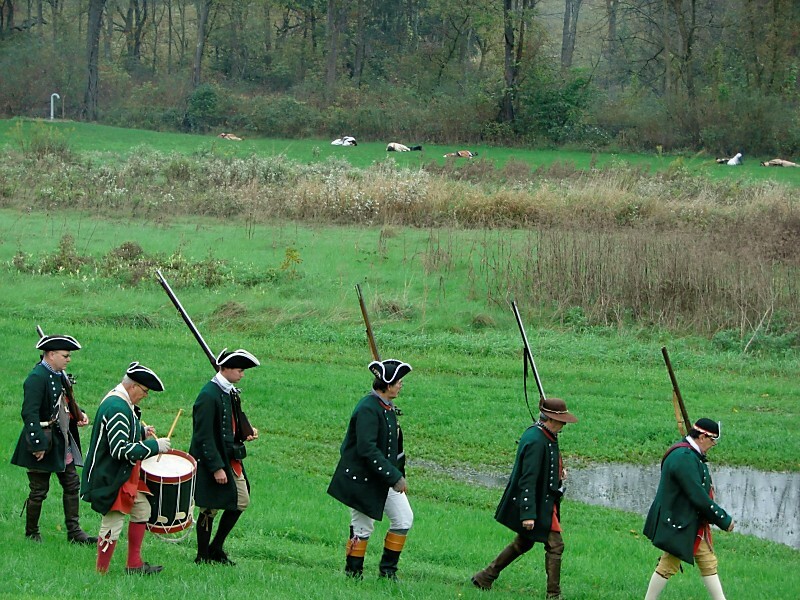 The two-day celebration honors the Battle of Fort Freeland in 1779, with re-enactments of the battle and the daily lives of Pennsylvania settlers during the American Revolutionary War. The Warrior Run – Fort Freeland Heritage Days is the last event featured in Columbia and Montour Counties’ 2018 Summer Heritage Passport and Summer Heritage Events. Each day begins and ends with a Flag Ceremony by the Fort Freeland Company of Independent Riflemen. Visitors can see a Native American Village, a Revolutionary War encampment by the Fort Augusta Regiment, and watch history come alive during the Fort Freeland Battle Reenactment. Throughout the day, visitors can learn about colonial crafts with demonstrations such as hand hewing logs for homes, herb gardening, and wooden wheel tire setting. 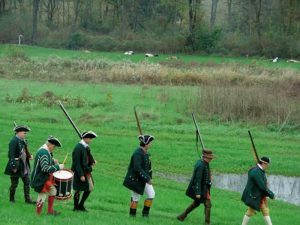 Colonial foods, clothing, and music complete the recreation of the Warrior Run area on the Pennsylvania frontier, almost two and a half centuries ago. Warrior Run – Fort Freeland Heritage Days also honor the historic Warrior Run Church with a Sunday morning church service from the Civil War era. The current brick church, dating from 1835, is the third structure at the site. Seneca Indians burned the first log church in 1778, and the second log church burned for unknown reasons in 1833. For more information about the Heritage Days celebration, videos, and a discount coupon for admission to the 2018 event, please visit the Warrior Run-Fort Freeland Heritage Society website. Our historic surroundings here at the Inn, make it a perfect lodging choice while you explore our many historic attractions and heritage festivals. The Inn’s farmhouse dates the same pre-Civil War era as the Warrior Run Church. After your day at Fort Freeland, plan to have dinner in our Farmhouse Restaurant or enjoy more casual fare in the heritage setting of the Turkey Hill Brewing Company’s pole barn. 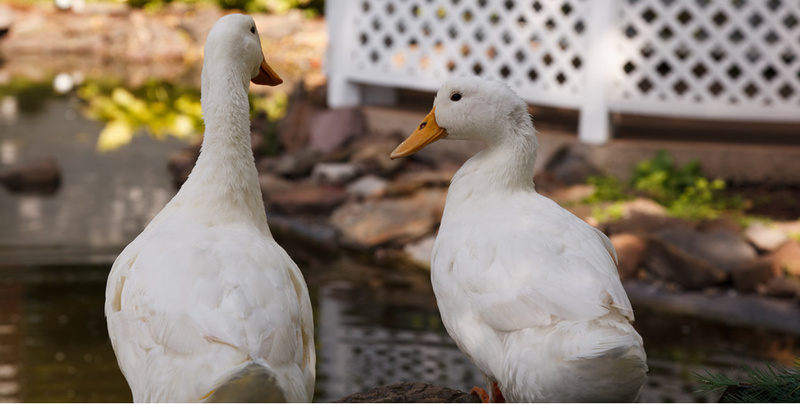 Foliage season brings many visitors to our scenic area of Pennsylvania, so please don’t wait to go online to reserve your stay, or just give us a call at (570) 387-1500. This entry was posted in Bloomsburg hotel, Event, Heritage Passport Site, Outdoor activities, Uncategorized and tagged Fall activities, Fort Freeland Battle Reenactment, Historic, PA revolutionary war re-enactors, Summer Heritage Passport, Warrior Run Church, Warrior Run Fort Freeland Heritage Days by admin. Bookmark the permalink.